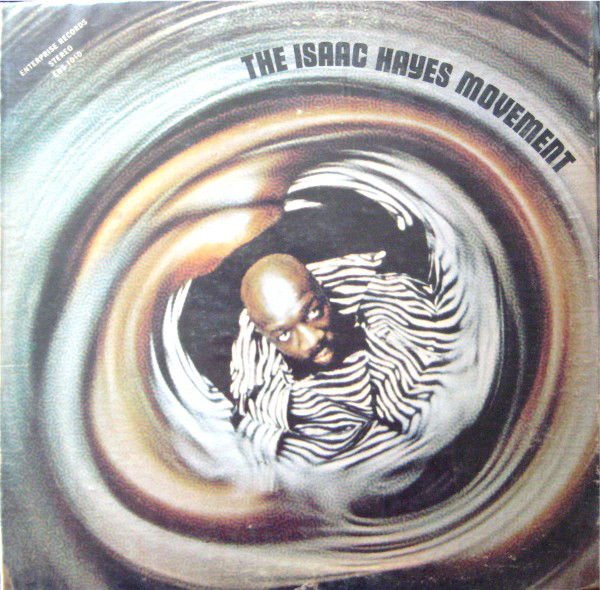 Coming not long after the unique, ground-breaking four-track album that was "Hot Buttered Soul", Isaac Hayes released another one. It was similarly impressive. He had really hit on something here. He was taking soul music to another level. 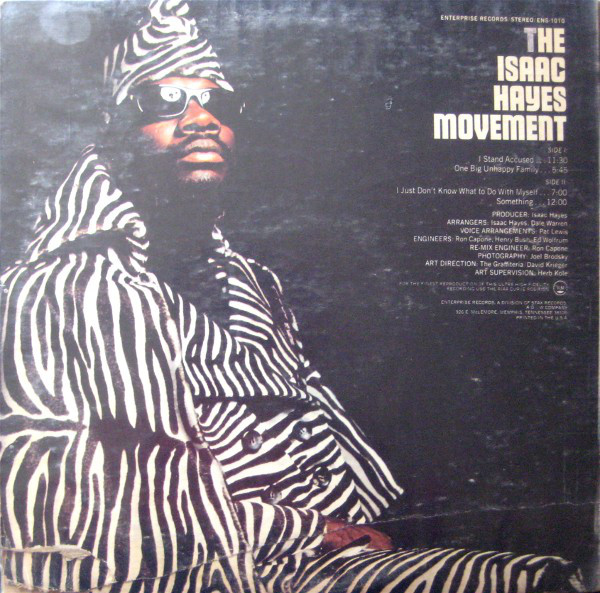 "I Stand Accused" has a long, spoken intro before Hayes eventually breaks out into the song. Keen listeners will recognise some of the spoken lyrics as those used by UB40 on "Guilty" on their 1983 "Labour Of Love" album. When the song arrives, Hayes's soulful vocal lifts it so high. Beautiful stuff. Classic soul right there. You better believe it, brother. The cynically-titled "One Big Unhappy Family" is a big, Stax-y soul number with a yearning, heart-broken vocal from Hayes. Dusty Springfield's "I Just Don't Know What To With Myself" is a dignified, soulful rendition. Again, the vocal is excellent, as, of course, is the backing from The Bar-Kays. George Harrison's "Something" is given a quirky makeover, with some nice electric violin, but a lot of the beauty of the song is lost beneath all the orchestration and backing vocals. This one doesn't quite work for me. It does end with some almost prog-rock inventive instrumentation, however, that makes it a most unusual offering. Some of these experimental covers come off better than others, it has to be said. This one sounds like a bit of a mess to me, despite is obvious ingenuity. I know that sounds bad, but there is a lack of cohesion, in my opinion. Overall, I prefer "Hot Buttered Soul", but this is not without is good points, particularly the first two tracks.